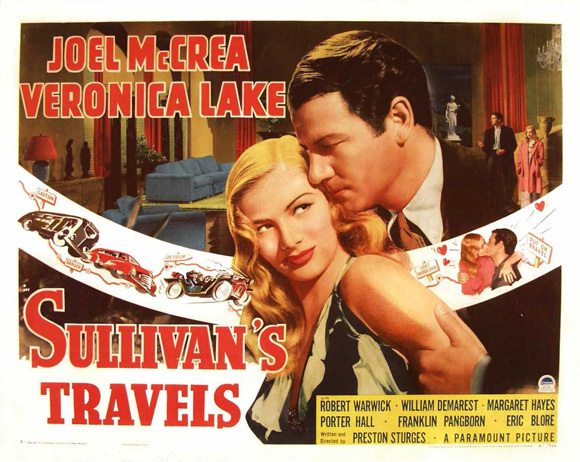 Sullivan’s Travels – Did You See That One? John L. Sullivan (McCrea) has made a living directing escapist films for the masses. Now he’s looking for a chance to do something more meaningful. When he embarks on the road, masquerading as a hobo, he’s in for a rude awakening. This film was the fourth feature from writer and director Preston Sturges (The Lady Eve). 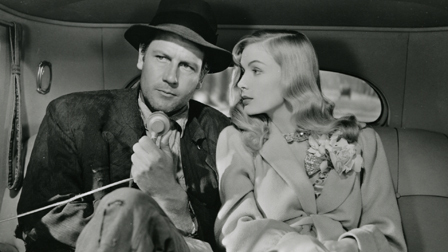 This one stars Joel McCrea (The Palm Beach Story), Veronica Lake (So Proudly We Hail! 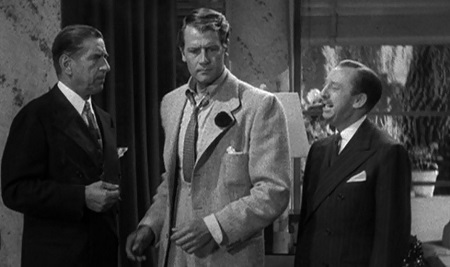 ), and Robert Warwick (The Awful Truth). This is a unique story that uses comedy to convey a number of more serious messages. 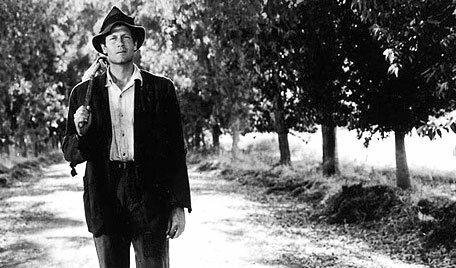 Following the Great Depression, this film seemed to tap into the escape that people were finding inside movie theaters. The dialogue is funny and intelligent, and gives the actors a lot of fun moments to shine. The film also takes several twists and turns that really help this one to rise above so many other comedies of the day. This one might not have the sentimentality of The Palm Beach Story, but it’s still a fun ride. The characters written for this film are a nice collection of oddball characters that populate the world wonderfully. Overall, this is a very good story. 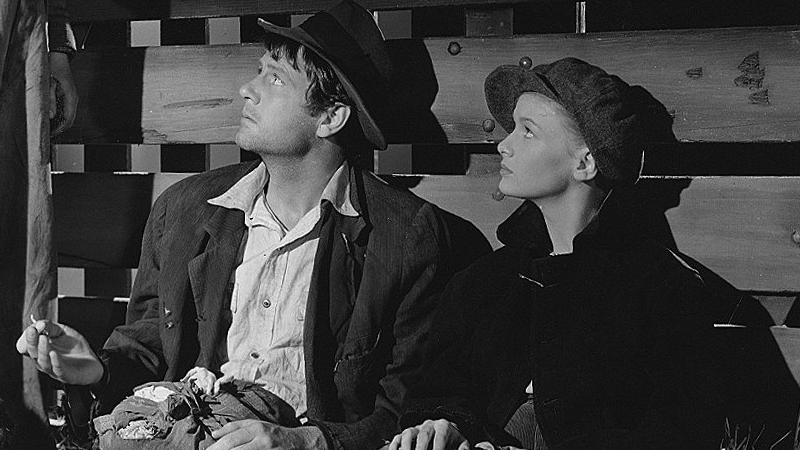 Joel McCrea and Veronica Lake share the spotlight in this one. McCrea does a great job playing it straight throughout one ridiculous situation after another. He also does a great job playing a many who’s pretending to be someone he isn’t. That role within a role is nicely done. He’s paired up with the talented Veronica Lake. She does a good job playing the would-be starlet and Sullivan’s traveling companion. Her performance connects with McCrea nicely, and the two make some great moments come to life. Robert Warwick and the rest of the supporting cast all do nice work with this one as well. This one looks and sounds good. It doesn’t do anything wild or new, but it does everything needed for the story. At the time this film was released it was not the success that his films The Great McGinty and The Lady Eve had been. 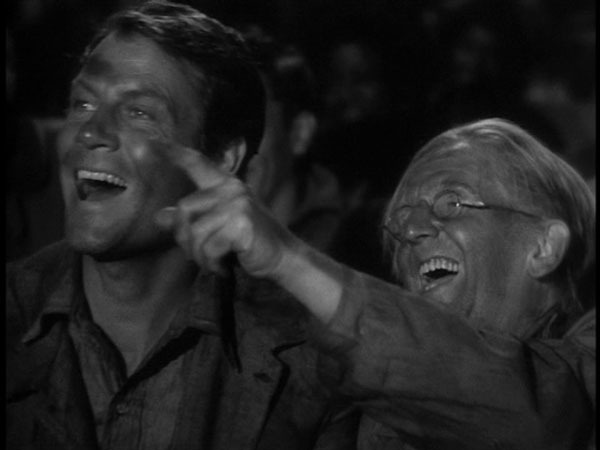 More recently, appreciation has grown for the unique approach Sturges took to a movie about movies. Additionally, this one has been recognized for the more subtle aspects of the plot. The messages buried in this movie are wonderful. If you’re a fan of classic comedies or movies about movies, this is one for you. I would also suggest this one to fans of Sturges or any of the stars. This is a solid movie that avoids being predictable while it introduces the audience to all kinds of awesome characters. I give this one 4.5 out of 5 stars.